Wild Oxfordshire is a local conservation charity with a vision for Oxfordshire’s environment to be rich in nature, healthy and sustainable for the benefit and enjoyment of all. Our focus is on bringing organisations and community groups together to work collaboratively and make this vision a reality. 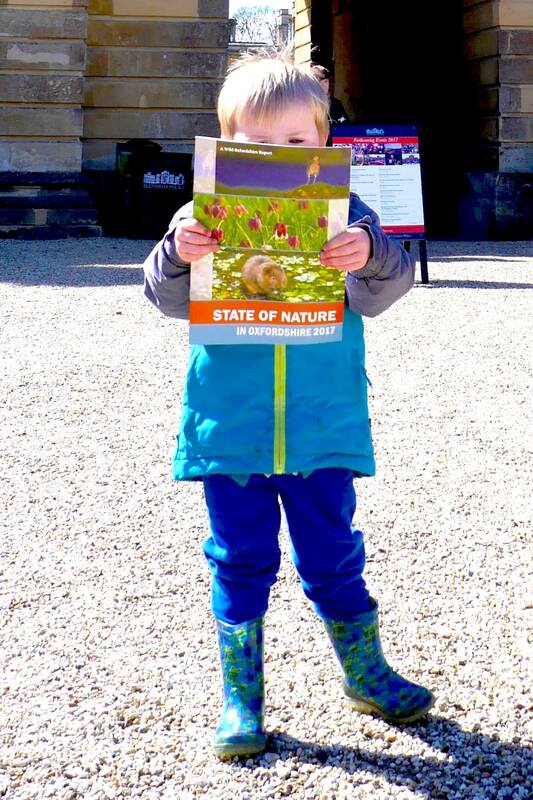 Youngest reader of State of Nature! State of Nature in Oxfordshire 2017 report, Oxfordshire’s Biodiversity Action Group, the Conservation Target Area approach. The innovative Natural Flood Management Project is trialling ground breaking approch to flooding. Community Ecologist is unique in offering free advice and support to the many Community Groups that help conserve local wildlife. To look at our finances, download our Annual Report and Accounts 2017-18 past reports can be found on the Charity Commission website.